The team working at Caspian Auto Motors wanted to share with our audience some of the things you'll need to pack in a roadside emergency kit to keep safe this year on the roads. Bring plenty of tools and place them in a bag inside the kit. Things like a screwdriver, knife, hammer, pliers, or wrenches, can all come in handy if you need to make a temporary repair to move the car to the service station. An empty gas can could be all you need if you run out of fuel and need another motorist to get you gas while you wait with your vehicle. 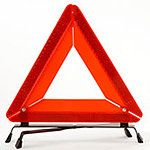 Packing some safety triangles and roadside flares could make a really big difference when it comes to alerting other drivers that your vehicle is disabled off the side of the road. Find your next new-to-you vehicle at Caspian Auto Motors! Our staff is ready to help you pick up a car, SUV, minivan, or truck that fits with your lifestyle.